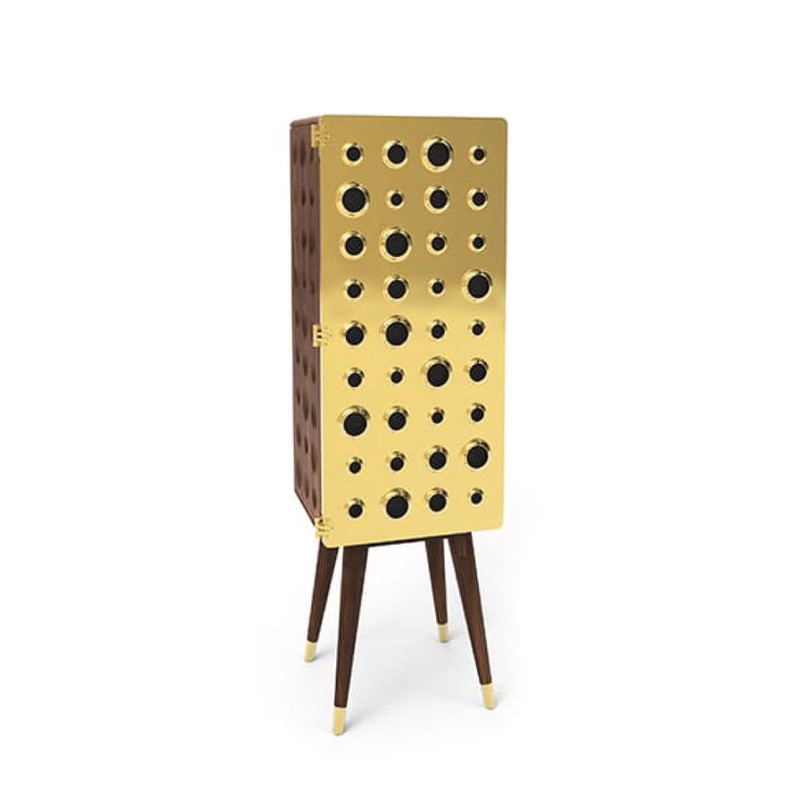 Monocles tall cabinet is both a stylish and functional piece of furniture. 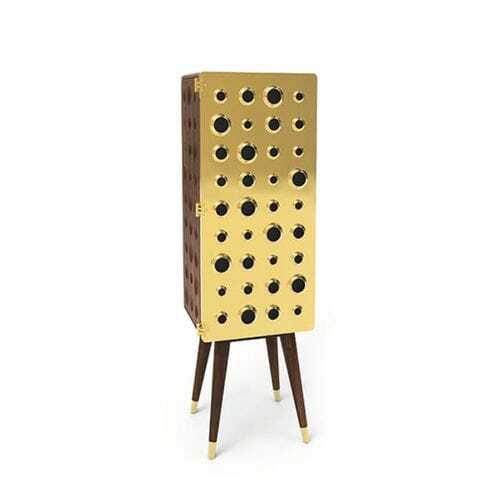 It blends mid-century charm with a contemporary design style, featuring tapered legs with brass ferrules and a body built in solid walnut wood. 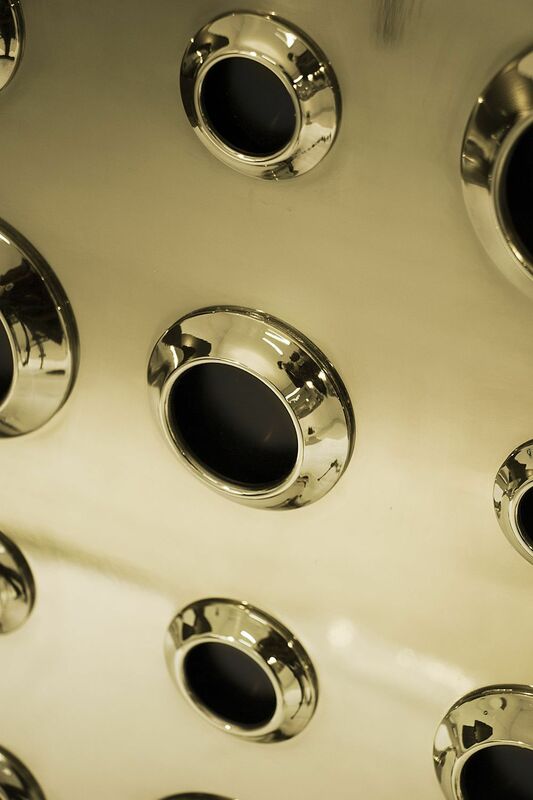 Both the sides and back have engraved circles, a high end detail for any interior design project.